“Life is 10 percent what happens to us and 90% how we react to it.” – Unknown. Each of us is just one person in the world of many. As much as you might like to have others listen to and do everything you say, life just does not work that way. More often than not, it is wise to go with the flow. Many alcoholics though are stubborn and don’t want to be told what to do. This is the same trait that may have kept a person drinking. It is born out of a rebellious nature, with an “I’ll do what I want”, attitude. In other words, instead of accepting the way things actually are, an alcoholic wants to make them the way he wants them to be. This is the same logic that gives an alcoholic the internal go ahead to drink when they know they shouldn’t. It is hard for the alcoholic to accept other processes and viewpoints, but most importantly, it is hard for them to accept their alcoholism. If you decide to get sober at an alcohol treatment center, you will learn your journey into sobriety is really the beginning of change. Change does not happen without acceptance. If you are unable to fully accept the reality of a particular situation, you are not truly motivated to change, just that the idea might sound good to you. So why is it so hard to admit? Part of the reason is that it is not “tangible”. Let’s say you have an allergy to cats. You know that if you are going to be around cats, you are going to sneeze and cough. There is no second-guessing the result. But when it comes to saying you are an alcoholic, it’s impossible. There is no negative connotation about being allergic to cats, but there is in admitting you are an alcoholic. Would you remain around cats day after day when you know that they do to you? Of course not. A person identifying as an alcoholic is the same as being allergic to cats. The result is that you will never be able to drink normally. Keep in mind that being an alcoholic is no more different than your average cat allergy. It doesn’t make you a bad person, or a degenerate devoid of morals. The only label you have is the one you give yourself. So just like staying away from cats, you stay away from alcohol instead. Going to an alcohol treatment center can get you started on the right foot, and you can learn about acceptance and many other ideas and skills that will help you maintain that change. The longer you go without drinking, the more your acceptance of yourself becomes deeper with each new day that passes. No one can admit your alcoholism but yourself. It is the only self-diagnosed disease in the world. If you are on the fence about whether you are an alcoholic or not, get in touch with a local alcohol rehab center to talk to someone. You have to be honest with yourself. Knowing you have a drinking problem and accepting it are quite different. 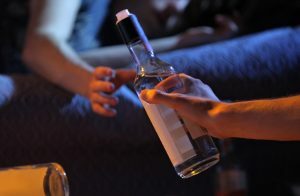 Accepting it means telling your family and friends that your drinking is causing problems in your life that are bad for you such as putting yourself in danger or creating health problems. There are ways to manage your life without alcoholism. Change starts with acceptance and action. Is it better to live a life filled with acceptance of what is, or live in denial instead?